Jennifer Aniston turns 50 on Monday. If that makes you feel old, some photo booth pictures (see below) from her birthday party over the weekend might lift your spirits. The bash, at the Sunset Tower Hotel in Los Angeles, sported A-listers like Kate Hudson, Gwyneth Paltrow, Robert Downey Jr., Reese Witherspoon, Ellen DeGeneres, George and Amal Clooney and ― Aniston's ex-husband Brad Pitt, People reported. 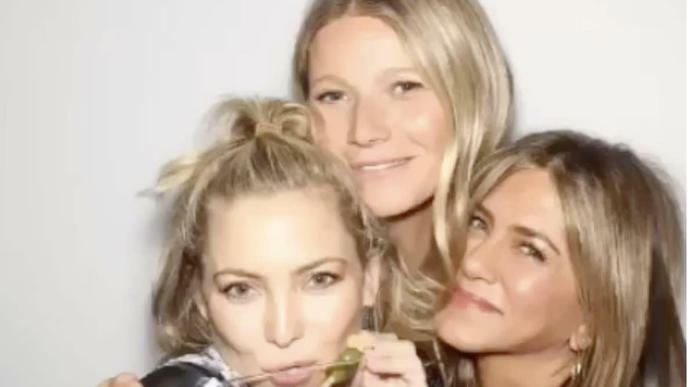 Her friends from "Friends," Courteney Cox and Lisa Kudrow, were at Saturday's shindig, too. If anybody knows how to mug for the camera in a photo booth, it's famous people. Check out the party snaps below. And we have the photos to prove it. Avengers: Endgame is one of the most anticipated films of recent times. At the 'Avengers: Endgame' world premiere in Los Angeles, the original Avengers shed tears and declared their love for one another. It was emotional.